In this article we will setup and configure Basic iptables on Linux systems (RPM Family “Redhat 7/CentOS 7/Scientific Linux 7”). This is the first step every experienced sysadmin must do Just after finishing installing the Linux OS “any member in any Family of Linux systems”. I’ll go and configure the iptables rules on RPM Linux Family releases 7 “CentOS 7”. In RPM Linux Family release 7 iptables firewall is not the default firewall, instead of it Redhad/CentOS is using Firewalld as the default firewall in any installation type “Minimal installation, Server installation, Server with GUI installation, etc..”. This require us to install additional package and disable the exiting firewalld on Redhat 7 / CentOS 7 / Scientific Linux 7 Linux systems. We will learn how to configure iptables for basic usage. Set the default chain policy for INPUT, OUTPUT, and FORWARD chains. We will learn how to start, stop, flush and restart the service, how to secure CentOS 7 after the installation process, and how to save our rules for loading it at Boot time “make a persistent rule”. At this point, we successfully installed, enabled, and started iptables on RPM Linux family release 7 “CentOS 7”, let’s proceed with some administrative commands. In this section, we will learn how to manage iptables service. 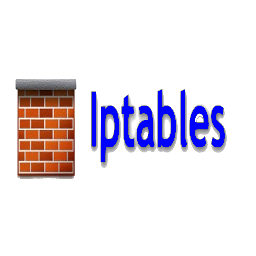 Iptables service is managed via systemd system and service manager. So, we will use the systemctl command “which control the systemd system and service manager” to manage iptables with the following options (start|stop|reload|restart|condrestart|status), and will use the service command “which run a System V init script” to manage iptables with those two options (panic|save). Later we will use the command iptables “found in this location /usr/sbin/iptables ” to configure the iptables rules. 1. For the next two options "panic, and save", I'll use service command to manage them, as they do not exist with systemctl. 2. You can manage all iptables service's options with service command, but I as systemctl is the default service manager in CentOS 7, I only will use service in a very limited situations. Now, after we introduced how to manage the iptables service, it’s time to secure your CentOS 7 box. Let’s take a look at the default applied rules found in /etc/sysconfig/iptables. In this article we have explained the meaning of iptables, also we have showed the default table “filter” and it’s three chains “INPUT, FORWARD, and OUTPUT” and their default installation policies “ACCEPT”. We showed you how to control the iptables service “i.e start, stop, restart, etc…” using a mix of systemctl, and service commands. We did our changes to secure our Linux box by direct modify “/etc/sysconfig/iptables” file. we mentioned one tip to use to avoid losing connections to your server if something wrong happened.